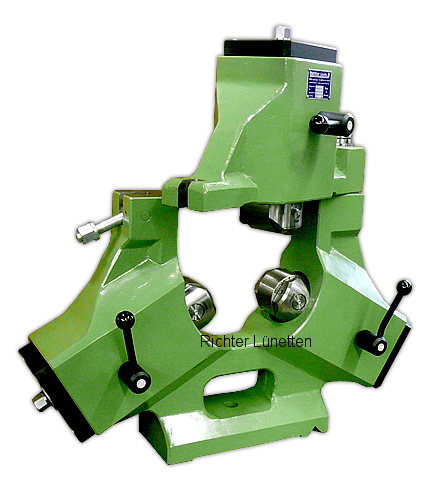 This steady features very wide rollers and centre sleeves. The working diameter ranges from 300mm to 160mm and is thus, very small. The customer wanted a maximum possible broad bearing surface for his workpiece.